Hardcover, 6.5 x 9 in. / 200 pgs / 150 color. Foreword by Fabio De Luca. Introduction by Uwe Husslein. Text by Aaron Rose, Valerio Dehò. As the Velvet Underground put it, "I'll be your mirror, reflect what you are, in case you don't know." 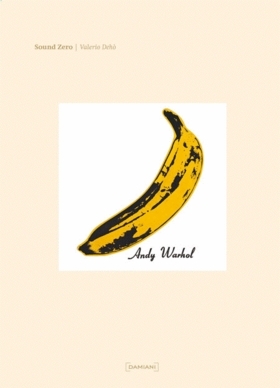 Sound Zero opens on the Velvet Underground's work with Warhol, and follows the close, even mimetic, relationship between Pop Art and pop music through the psychedelic explosion of the 70s and the graffiti, hip-hop and skate punk of the 80s and beyond. From Pop's simple and direct communication, colorful and clean, through psychedelia's overabundance of symphonic chaos, to the remixed and appropriated work of street artists and musicians, the interrelations are clear, and clearly influential. Sound Zero tracks them in over 100 color illustrations of paintings, photographs, objects, installations, graphics, placards, video and paintings, and a parallel universe of record covers, posters and performances. 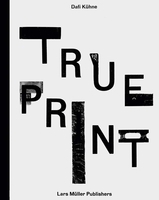 It features works by Robert Rauschenberg, Raymond Pettibon, Richard Hamilton, Jean-Michel Basquiat, Keith Haring, Chris Johanson, Barry McGee and Ari Marcopoulos; an interview with Aaron Rose; and a timeline showing developments in Pop, psychedelic and street art alongside the history of popular music. FORMAT: Hardcover, 6.5 x 9 in. / 200 pgs / 150 color.